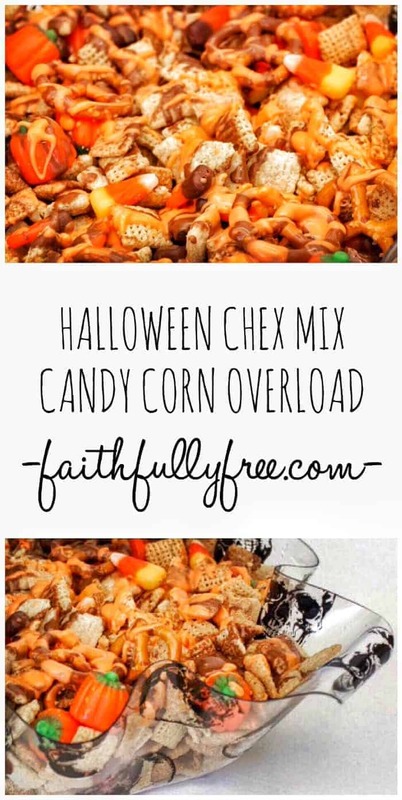 This Halloween Chex Mix Recipe Candy Corn is easy to make and even easier to get rid of! Your party guests will gladly devour this for you. 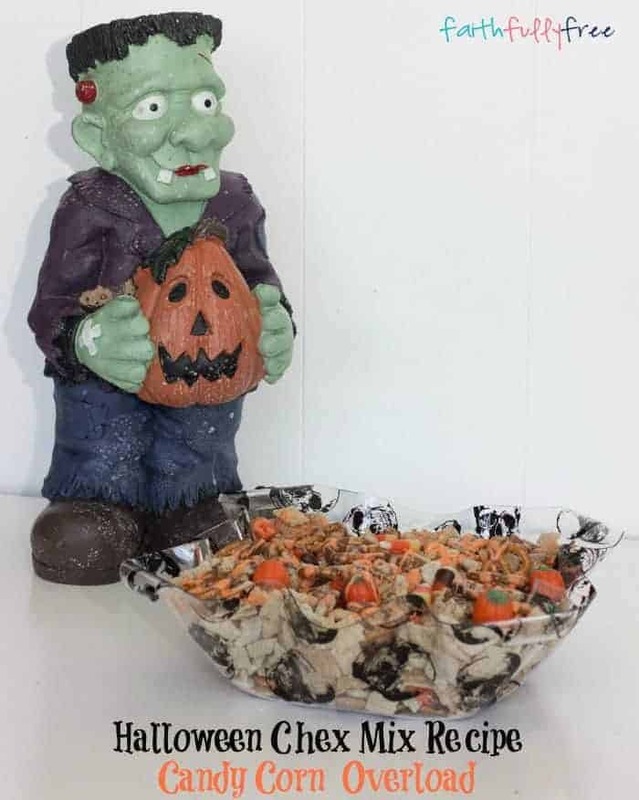 Today I am sharing two of our favorite Halloween recipes. The kids love to cook, and they especially love to make fun treats for the holidays. Today I whipped up a few Halloween recipes, so I know they will be both excited and disappointed when they get home. Thankfully I bought enough ingredients to recreate these recipes so they could make these fun and spooky recipes this weekend. 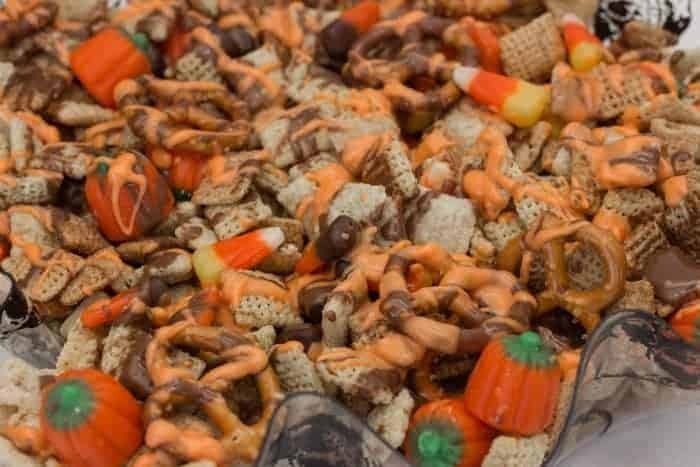 My two favorite Halloween treats are Pillsbury Mummy Dogs and our Halloween Chex Mix Recipe Candy Corn Overload! If you would like to make these with your kids all you have to do is supervise the knife use and help with the melted chocolate. Other than that, they can do everything themselves. Mix all ingredients except chocolate melts and olive oil in a large bowl. 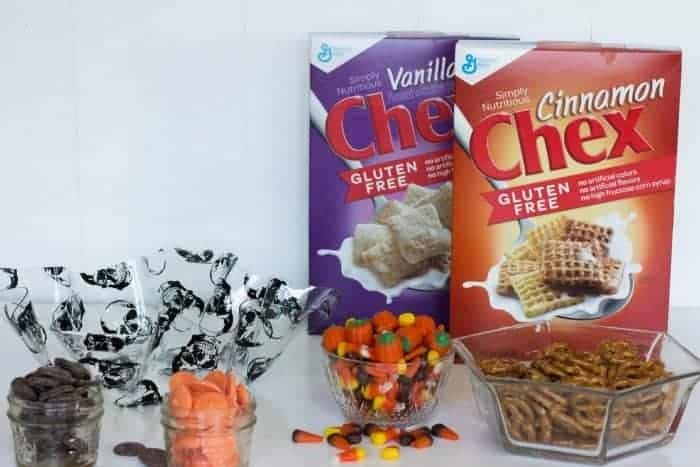 Melt each color of chocolate in the microwave with one tablespoon of oil until very thin and drizzle over Halloween Chex Mix. 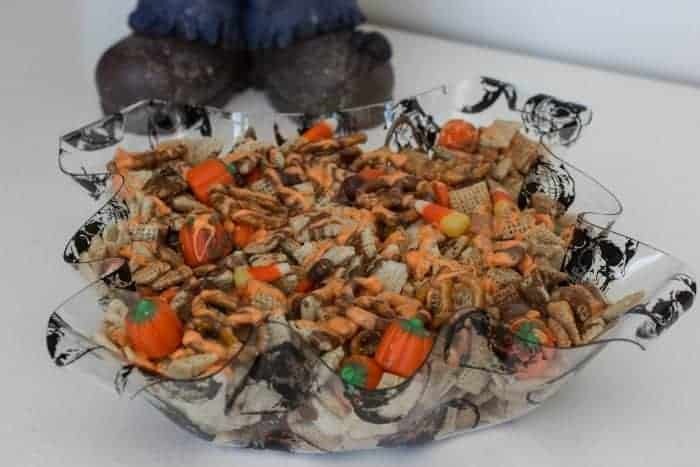 What are some of your favorite Halloween party mix recipes? I would love to hear about them! Feel free to share them here with me. You can also share them over on our Facebook page. If you love Halloween as much as we do, be sure to check out all of our Halloween posts here.